Washington: Facebook chief Mark Zuckerberg on Thursday sought to quell a new firestorm over the social network’s handling of Russian misinformation efforts in 2016 and its hiring of a consulting firm that used questionable tactics to target the company’s critics. Facebook said in an earlier statement that “we ended our contract” on Wednesday with Definers Public Affairs, a consultancy using campaign-style tactics and founded by Republican operatives that sought to link anti-Facebook campaigns to financier George Soros, according to the Times. But Facebook disputed claims that it used the firm in a nefarious way. The Times said in its investigation that Definers had sought to cast billionaire liberal donor Soros as the “unacknowledged force” behind a broad anti-Facebook movement. Facebook acknowledged that Definers had encouraged reporters to look into the funding of “Freedom from Facebook,” an anti-Facebook organization. “The intention was to demonstrate that it was not simply a spontaneous grassroots campaign, as it claimed, but supported by a well-known critic of our company,” it said in a statement, without naming Soros. Zuckerberg said he was not aware of the role of the firm and learned about it from the Times article. “I got on the phone with our team and we are no longer working with this firm,” he told journalists. While the Times noted that Soros was a favorite bete noire of anti-Semites, it did not characterize the actions of Facebook or Definers as anti-Semitic. 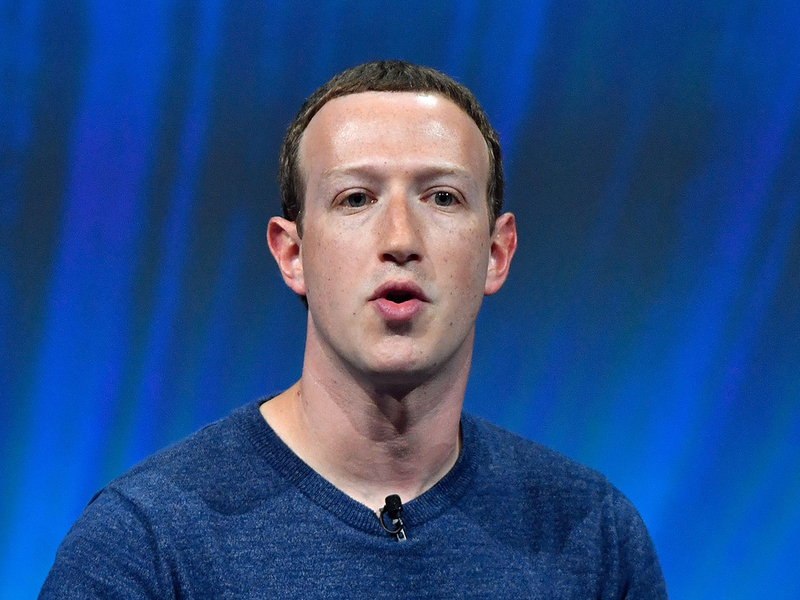 The board of directors issued a statement backing the efforts of Zuckerberg and chief operating officer Sheryl Sandberg in responding to influence campaigns. “As Mark and Sheryl made clear to Congress, the company was too slow to spot Russian interference, and too slow to take action. As a board we did indeed push them to move faster,” the board statement said. The Times said Facebook had amassed evidence for over a year of Russian activity through an investigation led by its former security chief, Alex Stamos. Stamos, who is now a Stanford University faculty member, said his probe did find a link to Russia in the first half of 2016 but that his investigation was not quashed. “The entire discussion around Facebook’s disclosures of what happened in 2016 is very frustrating. No exec stopped any investigations, but there were a lot of heated discussions about what to publish and when,” Stamos said on Twitter. The Times said that when criticism of its belated Russia admission grew, Facebook mounted a lobbying campaign led by Sandberg, pushing negative stories about its political critics and making rival companies like Google and Apple look bad. In July of this year, as a Facebook executive testified before a congressional committee, anti-Facebook demonstrators barged into the room and held up a sign depicting chief executive Mark Zuckerberg and Sandberg — who are both Jewish — as the twin heads of an octopus with its tentacles around the world. Facebook responded by lobbying a Jewish civil rights group — the Anti-Defamation League — to publicly label that criticism as anti-Semitic, the Times said. The Open Society Foundation founded by Soros meanwhile called for an independent probe of Facebook’s tactics. “We urge Facebook to stop engaging in practices inspired by the enemies of democracy across the globe,” said a statement from foundation president Patrick Gaspard. The world’s most popular social media platform has been on the back foot for months, including over the allegation that data from millions of Facebook users was abused by the consultancy Cambridge Analytica to help drive Donald Trump to the White House. At the same time, Facebook and other tech giants are facing criticism from Trump and others that they suppress conservative voices. Can you access VPNs legally in UAE?